Kitty Cabana is easy to play. The twenty-five pay lines, the five reels, and the three rows make sure you can see if you have winnings, or you have to re-spin, yourself. The overview is kept by using the standard slot symbols Jack until Ace. The rest of the animations all fit the theme and that means they're mostly fancy cats. Something else that sticks out is that there are many wild symbols, most of which appear stacked, further increasing your chances of winning. After an unsuccessful spin, it might happen that three wild symbols are added to your playing grid. This feature is totally random, so you'll simply have to hope for it to happen. Especially when your winnings have been low because, as this is a really rewarding feature. Kitty Cabana may seem like an ordinary Microgaming slot with which the developers wanted to appeal to the cat-people, but looks can be deceiving. It’s a slot by Microgaming in which the theme is cats. While the slot has five reels and three rows to play with, it cannot be called standard. There are some extra features that make the slot interesting, as well as the free spins that are given a nice twist. This leads to a lot more excitement, and because of all the wild symbols on the reels, it’s a slot that can be very rewarding! How to play Kitty Cabana? Kitty Cabana is easy to play. The twenty-five pay lines, the five reels, and the three rows make sure you can see if you have winnings, or you have to re-spin, yourself. The overview is kept by using the standard slot symbols Jack until Ace. The rest of the animations all fit the theme and that means they’re mostly fancy cats. Something else that sticks out is that there are many wild symbols, most of which appear stacked, further increasing your chances of winning. After an unsuccessful spin, it might happen that three wild symbols are added to your playing grid. This feature is totally random, so you’ll simply have to hope for it to happen. Especially when your winnings have been low because, as this is a really rewarding feature. Kitty Cabana still might seem like a reasonably standard slot, but when you enter the free spins, everything standard stops. First, you’ll have to choose what you get by openings doors on three floors. Here, you choose the multipliers and the number of free spins. On the first floor, however, you choose an additional something; your own wild feature. That can be heavily stacked wilds on the reels, it can be expanding wild symbols. Last, the first and fifth reel can also become completely wild during all free spins. Additionally, there are wild symbols that can freeze during the free spins. They’ll remain for three spins, after which they melt and disappear. If you’re lucky, the wild will split during free spins, making it count for two wild symbols. This means you cannot get only five of the same symbols, but six, resulting in a maximum potential win of 550,000. 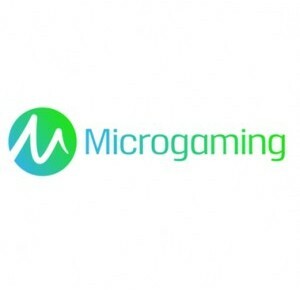 When you’ve read all this, you’ll understand why Microgaming didn’t choose to equip the free spins with a function where you can win additional free spins. Kitty Cabana is equipped with twenty-five pay lines that light up when you move your cursor over it. You cannot alter the number of active pay lines, so you’ll have to make do with the choice of the developer. You can change the bet per spin, and you can use the autoplay function of the slot. This slot does not have a jackpot, but with a 550,000 coin maximum potential win that’s not too bad.